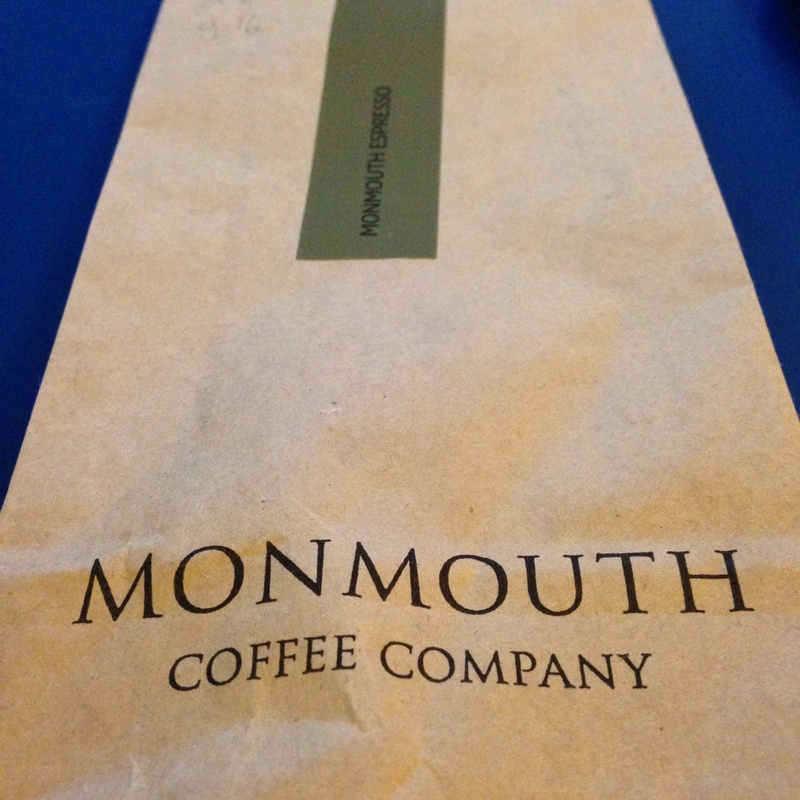 Monmouth Coffee is a wonder. It’s two coffee shops in London have queues running out the doors and into the streets and it’s wholly justified. This is great tasting coffee and with my new machine, I simply had to buy a small sample. Their Espresso mostly comes from Brazil, with some Columbia and Guatemala added in. We currently use Fazenda Santa Lucia (Brasil) as the base of the espresso, adding Lo Mejor de Nariño (Colombia) for high notes and complexity and Finca La Bolsa (Guatemala) for cocoa notes. Brewing this coffee was a pleasure and the results were splendid. It was fresh coffee noted by the fact that the pucks coming from the portafilter were dry and just dropped out cleanly.